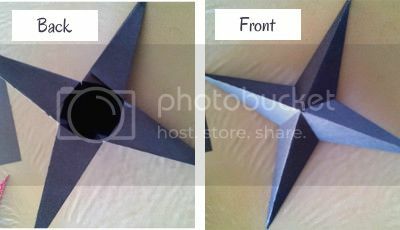 Fold one of the papers in half (1) then unfold and fold in half the other way (2). 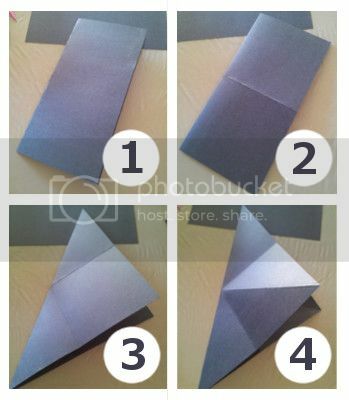 Now fold the paper diagonally (3), unfold and fold it diagonally the other way (4). 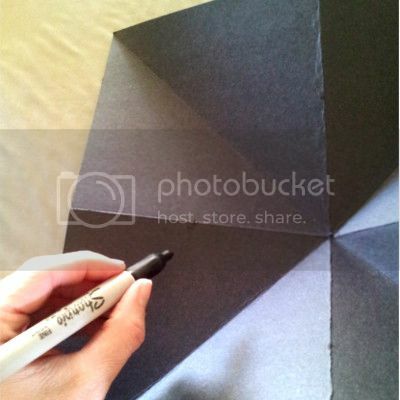 On your horizontal and vertical lines, make a mark slightly less than half way to the center. 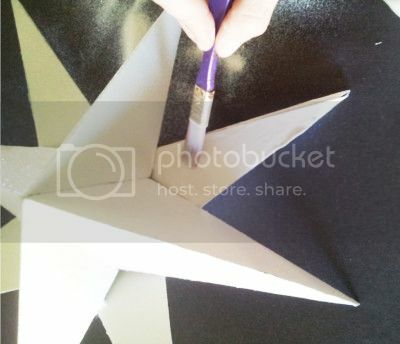 Cut your horizontal and vertical lines up to the mark that you made and fold each of the flaps in toward the center. 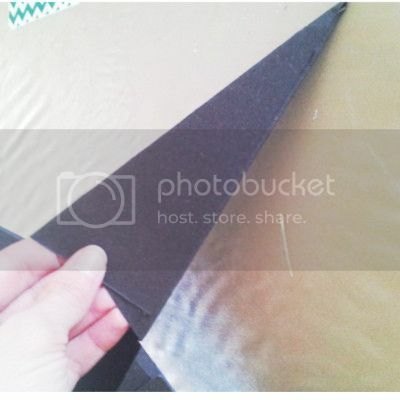 Now overlap the flaps and glue them together. Do this to the remaining sides. 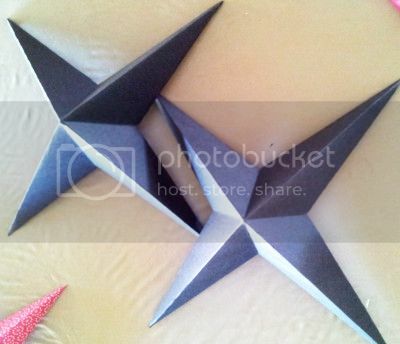 Do the same with your second piece of paper to make two stars. Once you have both stars made, glue them back to back. I forgot to take a photo of this step but you can scroll down to the finished photo for a reference. Now it is time to decorate your star. I painted mine white (It would have been better to use white paper but they were all out) then I covered it in glue and sprinkled some glitter on it. 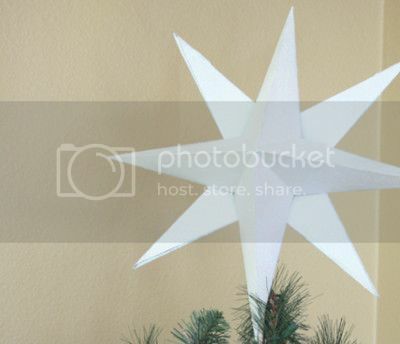 To attach the star to the tree I used a long wooden rod and stuck it though one of the gaps in the back of the star then I shoved the other end of the wooden rod down into my tree. Thank you for the tutorial! 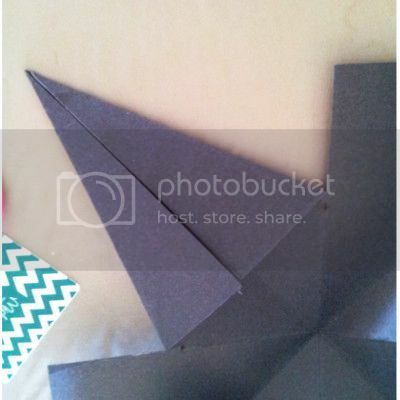 We made your star for our tree! this is our first ever tree topper and we absolutely love it! Thank you! We just did not cover it in glitter because our other decorations are matte. 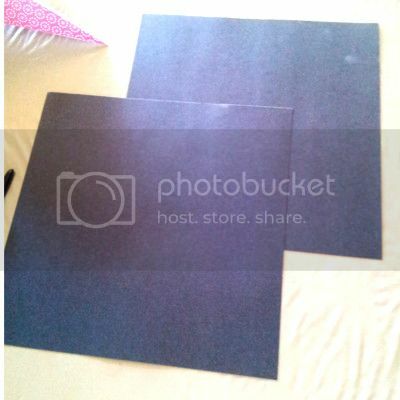 Therefore white poster paper worked great! aamaksimchuk, your tree is beautiful!! Thank you for linking back to my tutorial. I'm so glad that you found it useful.